Dub Poet. Educator. Spoken Word Artist. Lillian Allen is a professor of creative writing at Ontario College of Art and Design University (OCAD). Two time JUNO Award winner and trailblazer in the field of spoken word and dub poetry, Allen artistically explores the aesthetics of old and new sounds in music to create her distinctive leading edge brand of Canadian reggae with new world sounds in her poetry recordings, with her powerful reggae dub poetry/spoken word recordings including her latest single Woken & Unbroken (2018), album ANXIETY (2012), her groundbreaking first solo Juno awardwinning album Revolutionary Tea Party, a Ms. Magazine Landmark Album, followed by another Juno winner, Conditions Critical. Her third album, Freedom & Dance and her recording for children and young people, Nothing But a Hero, were released to critical acclaim. Allen’s debut book of poetry, Rhythm An’ Hardtimes became a Canadian best seller, blazing new trails for poetic expression and opened up the form. Her other collections, Women Do This Everyday and Psychic Unrest are studied across the educational spectrum. Her literary work for young people includes three books: Why Me, If You See Truth, and Nothing But a Hero. Multi-disciplinary and experimental, Allen’s creativity crosses many genres including radio, theatre, music and film; as writer, featured artist and producer/director and national radio show host. She co-produced/co-directed Blak Wi Blak, a film documentary on Jamaican dub poet Mutabaruka which premiered at the Toronto International Film Festival. Allen, who grew up in Jamaica, moved with her family as a teenager, studying in New York and Toronto. Founder of the Toronto International Dub Poetry Festival and a variety of cultural organizations such as Fresh Arts that empower youth, Allen has spent over three decades writing, publishing, performing and doing workshop presentations of her work to audiences around the globe. Allen is a recognized authority and activist on issues of diversity in culture, cultural equity, cross cultural collaborations, and the power of arts in education and has worked, locally, nationally and internationally in this capacity. 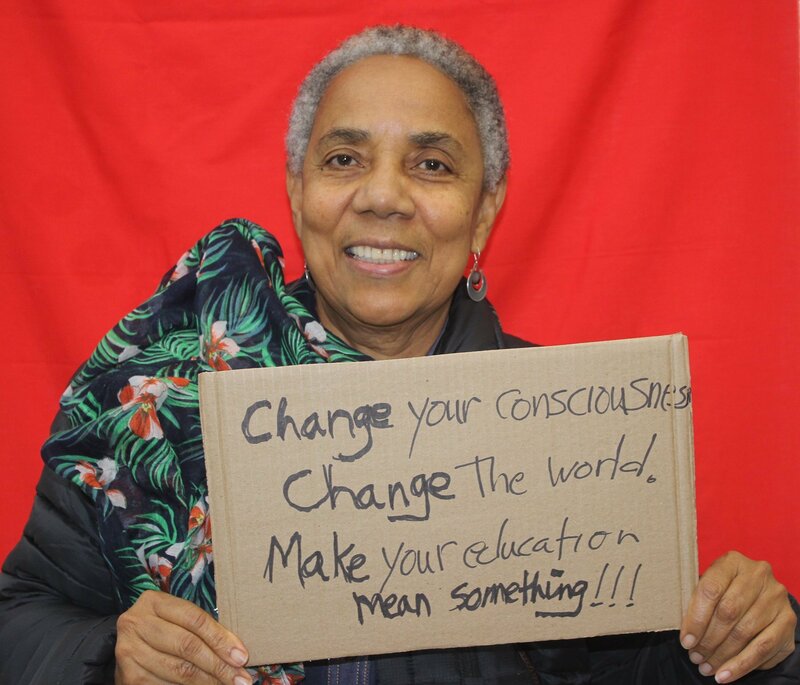 Her eclectic, insightful and inspiring lectures and performances have taken her as far as Jamaica and Switzerland. She has also held the post of distinguished Writer-in-Residence at Canada’s Queen’s University and University of Windsor.